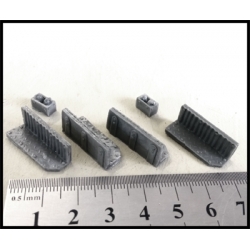 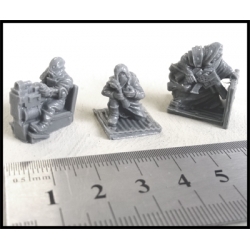 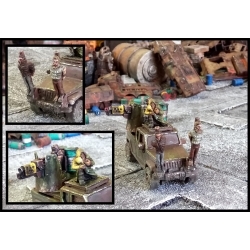 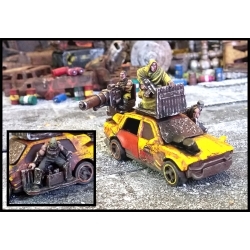 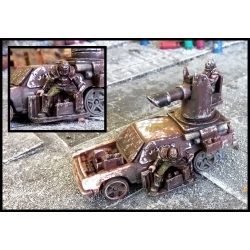 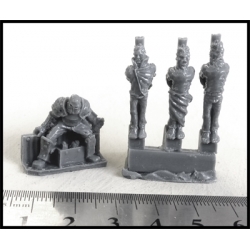 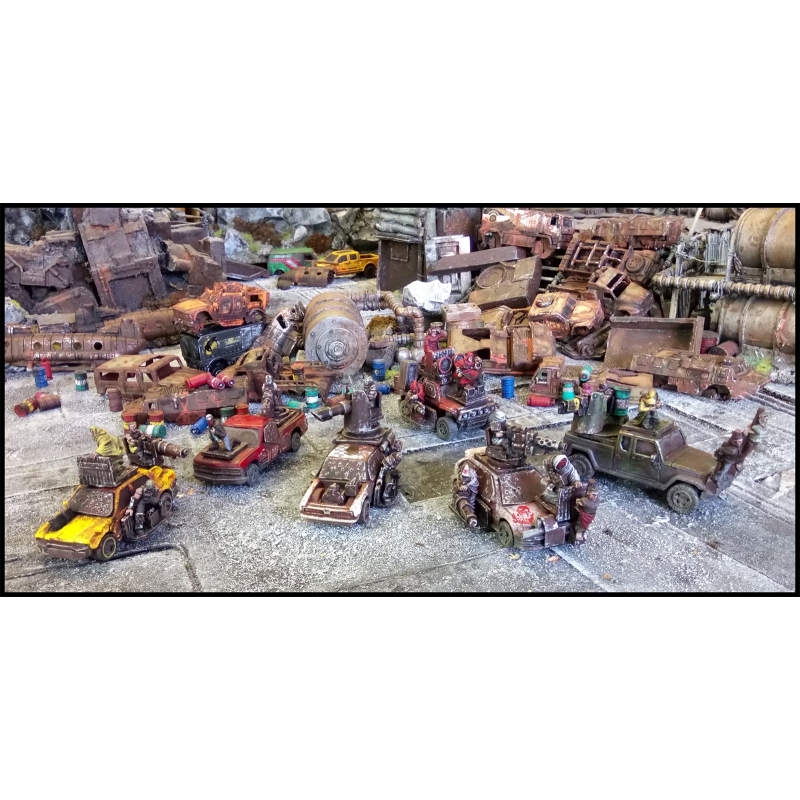 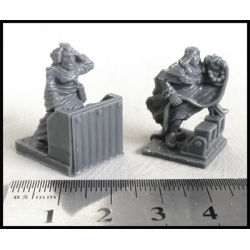 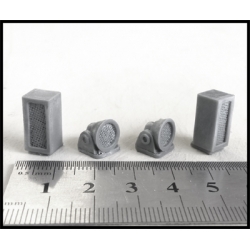 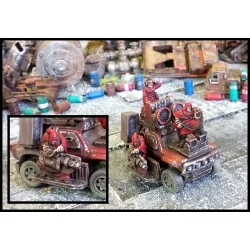 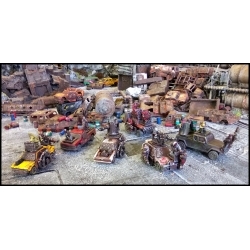 Resin crew and accessory models designed to fit with toy cars. 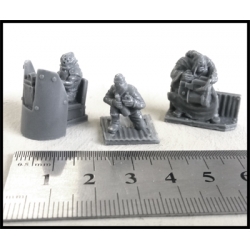 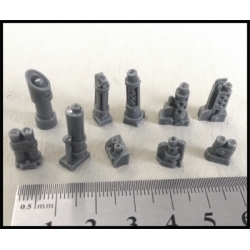 This set is scaled slightly larger than 20mm, with the humans being about 23mm from the floor to the top of their heads. 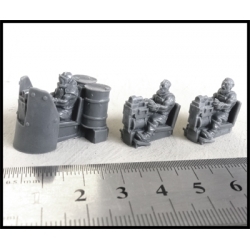 This would make them nominally about 1/64 scale. 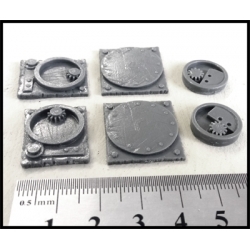 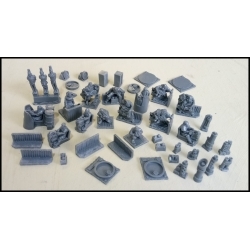 Models supplied unpainted and unassembled. 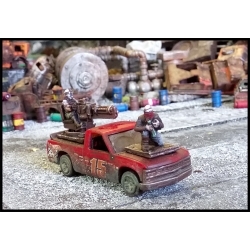 Toy cars are not included in the set. 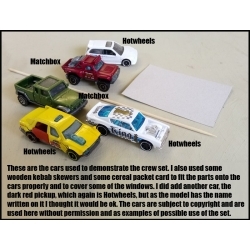 Cars shown are Hotwheeels and Matchbox, used without permission. 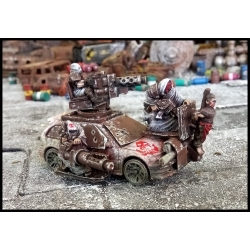 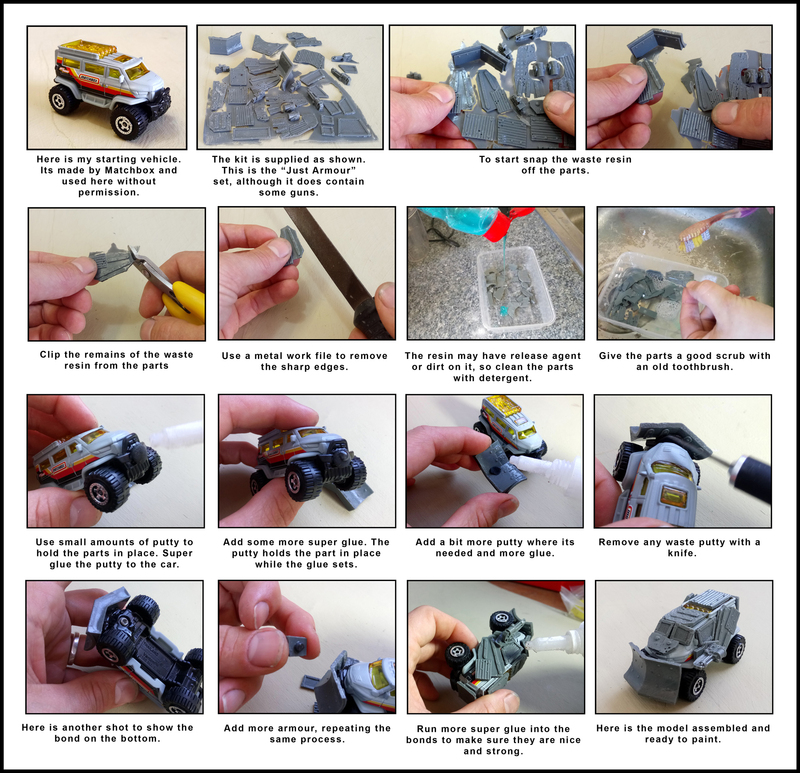 Here is a guide to using the kit and making your own awesome vehicles.